Genesis General Manager Erwin Raphael, left, expects to announce franchise recipients soon. They would sell the G90 and other vehicles at stand-alone stores. Genesis is prepared to compensate Hyundai dealers who will be left out of its limited network of stand-alone stores. But some dealers don't want the compensation. They want Genesis. And they're eager to try their luck at snagging one of the 100 franchises up for grabs in 48 markets across the U.S.
Keyes Hyundai in Van Nuys, Calif., is one of those dealerships. Based on a Genesis webcast that detailed compensation terms, the dealership estimates it could get a reimbursement package worth around $5 million if ownership decided to get out of the Genesis business. But Keyes is one of the 350 elite-level Hyundai stores that were eligible to sell the Genesis G80 and G90 under the Genesis Participation Agreement. And it's in Los Angeles, one of the key markets Genesis has targeted for its new stores. That means it's among the dealerships that get the first chance to apply for the stand-alone locations. Keyes leaders believe that in the right environment, the upstart luxury brand has profit potential, so General Manager Brian Sobel says they'll make a push to win one of the franchises. The odds would appear to be in Keyes' favor: It was the No. 2 Genesis retailer in the western region in 2017, selling 101 G80s and 39 G90s, it says. 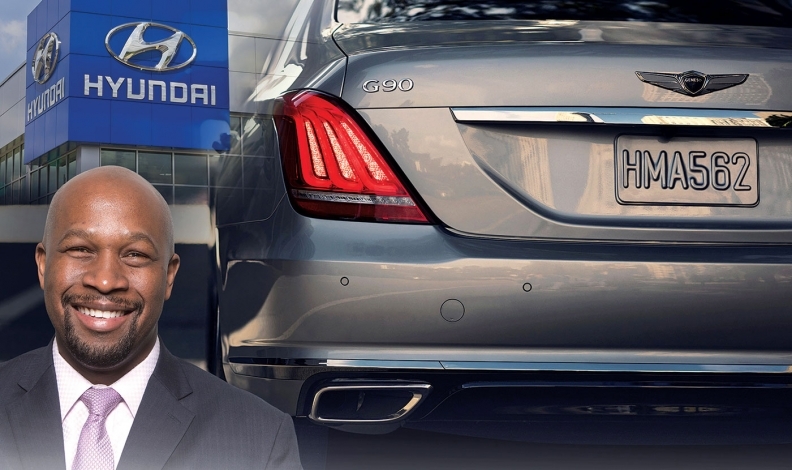 Far more Hyundai dealers will lose the right to sell Genesis products than keep it under the process Hyundai Motor America and Genesis brand officials rolled out Jan. 26. Genesis said its stand-alone dealership network would have around 100 stores in places such as Chicago, Los Angeles, New York, Miami, Washington, D.C., and San Francisco. Thirty of the markets will have just a single point. The Genesis compensation plan is intended to reimburse Hyundai dealers who invested in inventory, training and equipment to service Genesis products and help launch the brand. There also will be settlement offers that vary depending on sales volume, said Erwin Raphael, Genesis' general manager. Raphael expects to begin announcing the franchise recipients in the next few months. Dealers who are awarded franchises will have to build or renovate facilities by the end of 2020. They must be operational on Jan. 1, 2021. "We've got an internal process to consider many variables, but mostly, we're focusing on experience and their commitment to delivering the luxury customer experience," Raphael said of the selection process. A spokesman said stores can renovate a facility, but they have to meet sizing requirements and other parameters. The stand-alone store, according to the spokesman, must "share nothing with any other brands." Only those dealers awarded the franchise will get 2019 model year products, which are expected to include the G70 sport sedan. Raphael said 2019 models will be serviced exclusively by those stores. Even with substantial compensation on the table, and the cost of a new site, Sobel, of Keyes Hyundai, thinks it's a better move to go after a stand-alone Genesis store. His store is part of Keyes Automotive Group, No. 13 on Automotive News' list of the top 150 dealerships groups based in the U.S., with retail sales of 39,192 new vehicles in 2016. Overall, Sobel thinks the Genesis reimbursement plan is a fair offer, but his dealership has a vision for how it would further establish the young luxury brand. It has a facility on its grounds near the Hyundai store that it can retrofit for an estimated $3 million to $5 million. Sobel envisions plenty of marble, "pretty countertops" and nice desks with a premium showroom feel that mirrors Lexus. When consumers visit a Mercedes-Benz or BMW dealership, Sobel said, they'll see 10 porters wearing bright shirts who are ready to valet cars and arrange a service loaner. Hyundai doesn't have that process, but Sobel said his Genesis point would. "I think the Genesis brand will be able to take off in an environment that will enable them to excel with the clientele they have," Sobel said. "I've got a $240,000-a-year customer coming in to buy a Genesis, sitting next to a customer who is hoping to get into a $10,000 brand-new car. They're just different buyers." That disconnect is partly what motivated Hyundai to accelerate the separation of the retail networks, Raphael told Automotive News last year, citing data from customer clinics showing that buyers disliked the idea of shopping for a $50,000 or $60,000 luxury vehicle in a Hyundai showroom amid Elantras and Accents. Once the decision was made, Hyundai Motor America COO Brian Smith said in an interview in January, the automaker worked closely with its dealer council to form a Genesis launch plan. "That's probably where we focused our efforts up until now ... to make sure that as our launch strategy comes together that we're getting good feedback from dealers, and we are," said Smith, a former Toyota and Lexus executive. "We had multiple conference calls with them as we refined the program." The size of the compensation packages was the subject of vigorous discussions during a meeting between dealer council members and brand leaders in November, according to numerous people familiar with the proceedings. Dealer council President Andrew DiFeo declined to comment for this report. In an interview published a year ago, DiFeo, whose St. Augustine, Fla., store sells Genesis products, said Hyundai dealers knew they were fortunate to have the opportunity to sell Genesis at all. The automaker could have started the brand with a separate retail network and offered the points to dealers with other luxury brands. "But they didn't do that," DiFeo said. "They went to their Hyundai dealer network and gave us the opportunity." That opportunity is now limited to a select number of Hyundai dealers in key markets, including Gregory Mauro. Mauro, owner of Gregory Hyundai-Genesis in Highland Park, Ill., believes the compensation offer he's in line for is fair. But like the Keyes operation, he has no plans to take it. Mauro, who has been a Hyundai dealer for more than two decades, says his sights are set on several locations where he could build a Genesis dealership. The Chicago area, like L.A., will have multiple points. Mauro's dealership sells the G80 and G90 as well. He said it was the top-selling Genesis point in the Midwest in 2016. "For a lot of dealers, it makes sense for them to take the buyout," Mauro said. "For other dealers, it makes sense for them to move forward and build the brand. "Being in a major market in a luxury area," he said, "it makes sense for me to move forward."